All Gas Heating, Bathrooms & Plumbing have been installing solid fuel stoves for many of our customers throughout the Dublin area. Many of our clients want to supplement their existing heating systems by investing in solid fuel stove installation. Solid fuel stoves are very effective in room heating and add to the ambience of the room by providing a welcome focal point of light and flame without the mess of an open fire. Adding an extra source of heat has become very attractive the past few years, particularly considering the recent severe winters in Ireland. 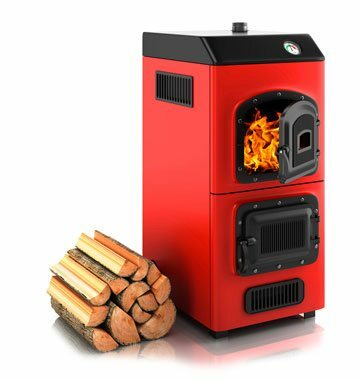 Allgas will install multi-fuel stoves which can burn most commercial fuels including wood, briquettes and standard smokeless coal. As with all heating appliances, solid fuel stoves need to be installed safely and correctly by experienced and dependable plumbers and heating engineers. We have almost 30 years experience installing heating systems in Ireland. We will walk you through every aspect of your solid fuel stove installation from concept to completion, answering any questions or queries you may have along the way. We are always contactable, and no question is too small for us to give our complete consideration. After all, we realise that this is your home we’re talking about! Can my solid fuel stove run with my gas heating system? Allgas Heating, Bathrooms and Plumbing can also link a solid fuel stove to your existing gas or oil heating system. This will not only lead to savings on your gas bills, but will also increase your energy independence and choice in the face of rising gas costs. Multi-fuel burning stoves give you even more choice and financial maneuverability. Are there any grants or tax incentives? You may be able to obtain a tax credit for installing a solid fuel stove in your home under the Home Renovation Incentive Scheme (HRI). For full details see grants and tax credits. Do you have any tips for using solid fuel stoves? Try to use dry wood and don’t burn branches that have recently fallen from trees as they have too high a moisture content. Wet wood will tar up your stove and flue. This will block up the chimney in time. Try to build up a supply of wood to allow it to season dry out completely. Similarly don’t burn painted wood as this will also tar up your stove and blacken the glass. How can I get a quotation for a solid fuel stove? We will provide a free quotation for installing a solid fuel stove in your home.